Broken Branches is the first novel to be published by the new publishing house Hideaway Fall and is the last of my #20BooksOfSummer. It is very different from anything I have been reading recently and I was really gripped by it. It’s hard to say what kind of book this is. Is it a ghost story? There are certainly some spooky goings-on. Or is it a psychological thriller? Well, it’s a book that has you wondering what is going on but it’s not a fast-paced twists-and-turns type thriller. Whatever you want to call it, it’s definitely an intriguing page turner perhaps with a hint of a Gothic novel about it. In the shadow of a large sycamore tree lies Cobweb Cottage, inherited by Ian Perkins following the death of his brother. The house has been in the family for generations but it seems that the cottage or the family may be cursed. Ian certainly believes this to be the case and his determination to prove it to his wife Rachel is threatening their marriage. As he works his way through old family papers and begins to compile a family tree, he discovers that in every generation, a tragedy has occurred. If the curse is real, is his family next? Throughout the book, the author creates an amazing sense of tension and foreboding. The spooky shadows cast by the tree, the mysterious noises in the cottage, the objects moved about in Ian’s study, the secrets never spoken about all combine to make for an unsettling atmosphere and an uneasy read. It is a book full of mystery and the mystery deepens as the story moves between the present and the past revealing all the tragic events which have happened in the cottage. 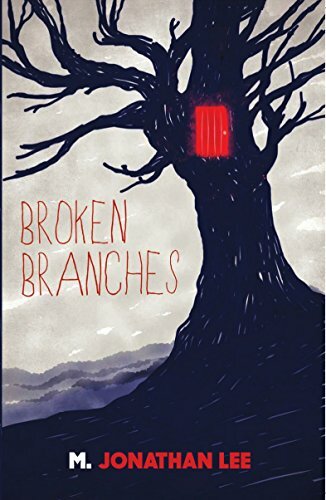 A really original and absorbing read, I thoroughly enjoyed reading Broken Branches and recommend it as something a bit different from other thrillers. It is simultaneously enigmatic, absorbing, disquieting and tender. Thanks Katherine, that’s kind of you. Great review, Joanne. I thought this was a really good read and very creepy. I’m glad to see I’m not the only one lagging behind in reading this one too. The shadows really are everywhere in this book, I loved it! 🙂 Great post!